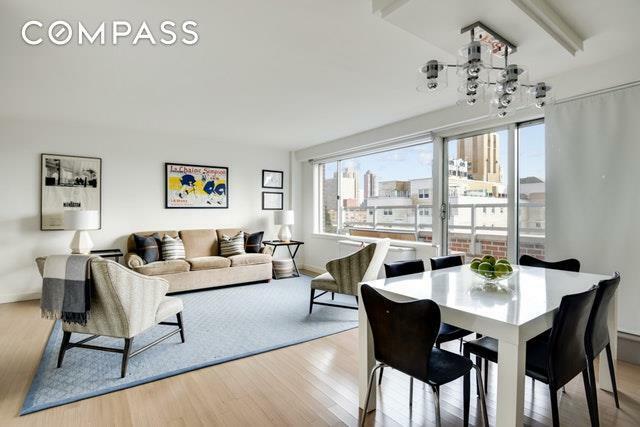 Stunning split 2 bedroom, 2 bath with a fabulous 32' private Terrace in the heart of the Upper East Side! No detail was overlooked throughout this incredible renovation. 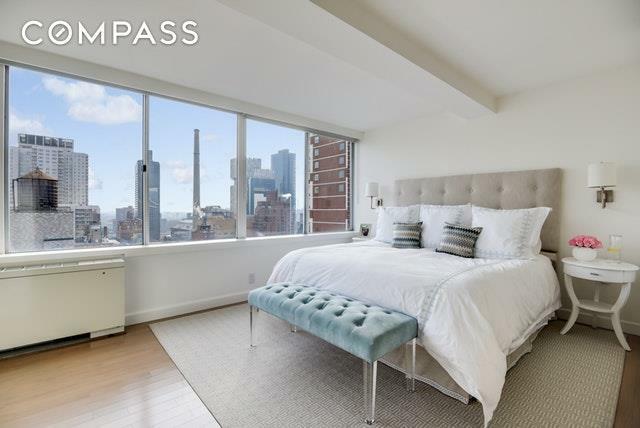 Open views and an abundance of natural light welcome you as you enter this high-floor two bedroom home. Features include an east facing living room and dining room, and a private, sun-drenched newly renovated terrace with entrances from both the living room and master bedroom. 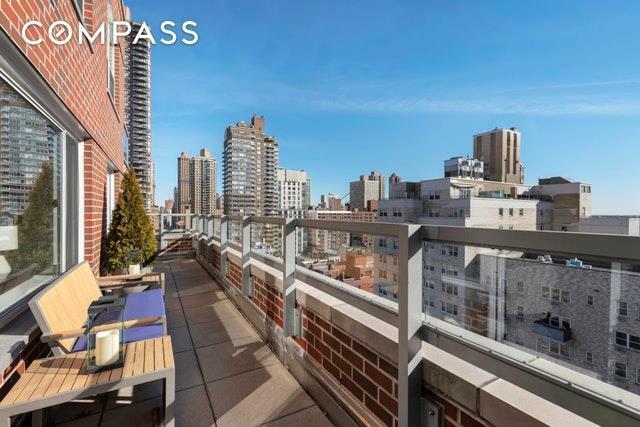 Its the perfect place to enjoy your morning coffee, relax after a long day, or even host a marathon watch party with sweeping views of first avenue! The gorgeous, modern kitchen features a Wolfe cooktop, Miele oven and dishwasher, quartz counter tops and custom cabinetry. The sun-flooded, grand master suite features wall-to-wall windows, wonderful closet space, and en-suite, large master bath which was meticulously outfitted with mosaic tile, extra wide walk-in shower, and Duravit and Grohe fixtures. On the opposite side of this amazing home you will find the second bedroom, the size of most master bedrooms, with double east and north exposures. The windowed second bath has a sleek and modern aesthetic with stacked subway and glass tile. This home is complete with open views, stunning maple hardwood floors throughout, skim coated walls, thermostat controlled HVAC units, custom built-ins including a bar and bookshelves, and a custom designed office space. 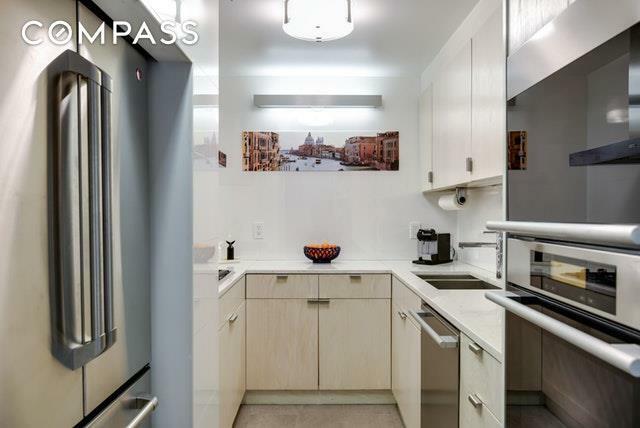 The home has endless closet space with bespoke interiors including a built in pantry and the coveted washer/dryer. Sherman Towers is a pet-friendly, full-service, doorman building with a brand new red brick facade, new roof deck, storage and bike room in the perfect Upper East Side location adjacent to New York Sports Club, one block from Equinox, a short distance from both the Q and the 6 subway, John Jay Park and all the best restaurants and shops the Upper East Side has to offer! Co-purchasers and Pied-a-terres are permitted. This is a one of a kind property, Welcome Home!